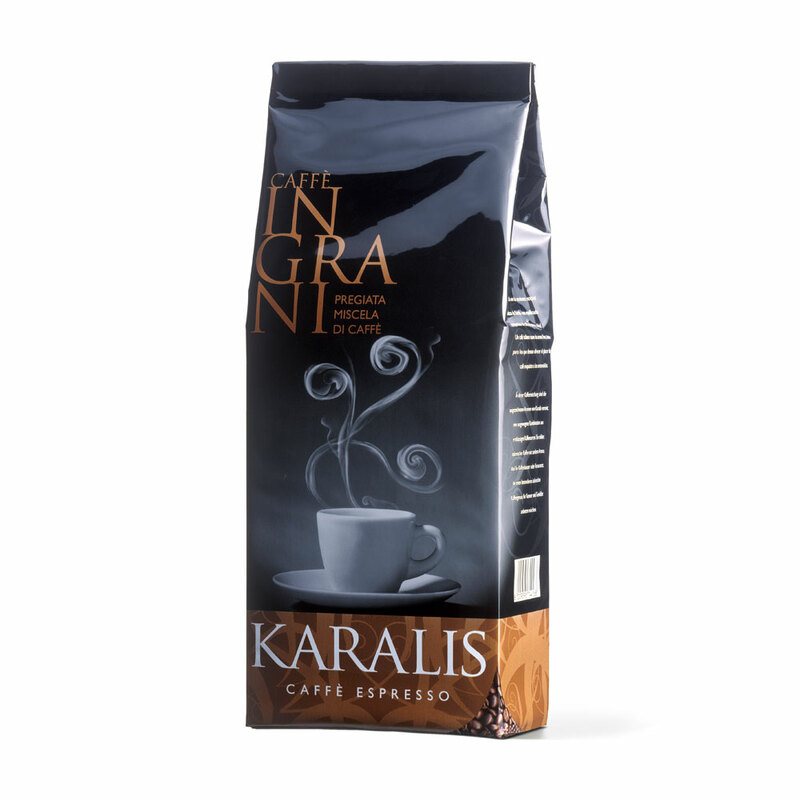 From the sweetness to the spice, Karalis Gold (Caffè Karalis Oro) is a soft aroma coffee, the result of a careful selection of raw ingredients, which contain the precious aromatic notes of spice and sponge cake. A balanced blend of raw Arabica and Robusta coffee from Brazil, Guatemala, India and Ethiopia. The delicate gentle aroma is characterized by a full body, medium intensity and a distinctive taste. Ideal for anyone who enjoys a fine cup of coffee – a must for real connoisseurs. An overwhelming blend with all the original taste of Italian espresso. The hazelnut crema has a medium texture and the aroma is intense. The pleasant aftertaste is accompanied by a pleasantly acidic note.